← III. the most nerve-wrecking moment. IV. the ultimate engagement ring. I started reading up on diamonds and began consulting married men like Victor and Joel on prices and procedures. Eventually, I went with Lionel’s jeweler instead. And like a best friend would, he accompanied me for the first time to where he got his engagement ring and wedding bands done, and informed me of how much I should roughly be coughing out for my ring. I spent a good number of nights asking Mr Google for unique designs. And I also shamelessly brought Huiyi into the Lee Hwa’s and Love & Co’s not just to get her finger size but also to get a glimpse of the kind of design she fancied. I was convinced that she was neither pining for a big rock nor a hefty price tag, but a design that would be unique and evergreen. I eventually picked a diamond that wasn’t so big until it looked vulgar or too small until it looked cheapskate. To me, it was the perfect rock on the perfect setting that resulted in a perfect ring. My research was complete. I knew my budget; I adapted concepts I got off the Internet and designed my engagement ring; I chose my rock and type of gold. And this ring-making process began way back in October. I made a several trips to the jeweler to ensure that the ring turned out the way I had envisioned it to be. By January, on my fourth trip there, I paid for and collected what would be the most beautiful engagement ring I have ever seen – so lovely I wore it a few times on my finger to imagine how it would look on her finger! I remember rehearsing that “Will You Marry Me?” scene with myself – using my right hand to put the ring on my left hand. I couldn’t wait to do it for real! And at the back of the ring, I decided to engrave “Phil 2:1-11 ILYTTE”. It’s the passage of scripture that we’d like our wedding exhorter to preach from. We are inspired by God’s Word – how the Apostle Paul used the supremacy of Christ as an example for us to serve each other and consider each other better than ourselves. He instructed us not to think less of ourselves but to think of ourselves less. Steer clear of the mainstream brands and save yourself some money. Ensure that you have a buffer of around $100 along with your budget. Stick to your budget and do not be embarrassed by what you can afford. The ring is not about you. It’s about her; what’s pretty to you might be plain to her. Consult your peers, do your research well and do not be afraid to ask questions. You must know what you value more in a diamond – cut, clarity, carat or colour? 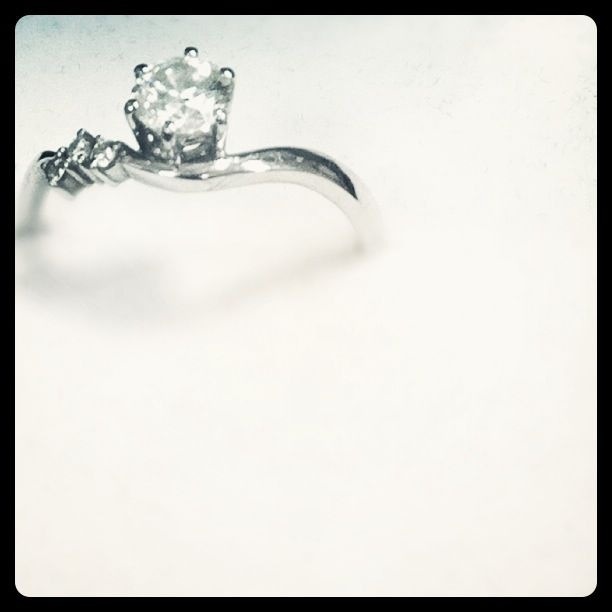 Choose your setting well – the right design and type of gold accentuates the diamond. A lasting design trumps a contemporary one; do you want to get sick of looking at it? Don’t be ashamed to bargain with the jeweler; you don’t get to do it very often. Make your engagement ring way in advance – you never know when you need it! The adage goes, “The most dangerous place is the safest place”. So I kept the engagement ring in an old cookie glass jar just below my television console. Every other week, I’d take it out to admire that wonderful work of art. I was extremely pleased with it and I badly wanted to share this excitement with my family. But I resisted the temptation of showing it to my sister and mother because I wanted Huiyi to be the first person (other than the jeweler and I) to see it . The ring rested quietly in the cookie jar for four long months. And each time I neared it, I felt my heart palpitating. Next chapter: the fire idea – Perth. Posted on July 20, 2011, in A Walk To Remember, Picture Perfect and tagged ILYTTE, Joel Tay, Lee Huiyi, Lionel Koh, Victor Yen. Bookmark the permalink. 2 Comments.